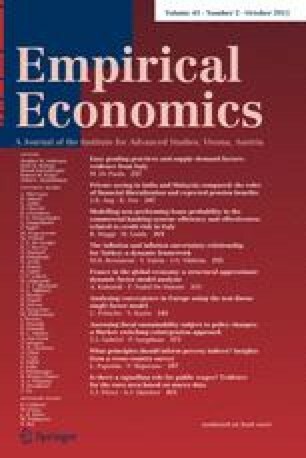 This article assesses the interaction between inflation and inflation uncertainty in a dynamic framework for Turkey by using monthly data for the time period 1984–2009. The bulk of previous studies investigating the link between inflation and inflation uncertainty employ Autoregressive Conditional Heteroskedasticity (ARCH)-type models, which consider inflation uncertainty as a predetermined function of innovations to inflation specification. The stochastic volatility in mean (SVM) models that we use allow for gathering innovations to inflation uncertainty and assess the effect of inflation volatility shocks on inflation over time. When we assess the interaction between inflation and its volatility, the empirical findings indicate that response of inflation to inflation volatility is positive and statistically significant. However, the response of inflation volatility to inflation is negative but not statistically significant.